Carsten Breithaupt leads the Lufthansa Group Enterprise Architecture Department since 2015. He has over 15 years of hands-on experience in Enterprise and IT-Architecture, Technology Management, EA Frameworks and Governance in addition to 20 years of experience in transport, logistics and airline industry. He has a profound knowledge of airline specific domains like operations, revenue management, sales, etc. His main interests are current innovations and trends like Cloud, Big Data, IoT, Mobile Devices, Artificial Intelligence and Blockchain. 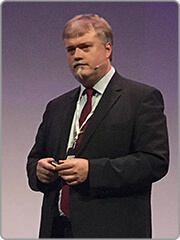 He is occupied with thoughts on how EAM is evolving and how it is influenced by agile methods and lean management techniques.